Let’s talk about seventh graders. I want to do this while it’s fresh on my mind. It’s fresh because I just spent the morning with about fifteen tweenagers as a chaperone on their school outing and was immediately taken back to the days when girls and boys still hung out in two different groups, the colored bands on your braces were a big deal and the most popular kid in class was whoever had gum. Childhood has its ups and downs, much like the astro-jump my students nearly tore a hole in today. Ah, I’m getting ahead of myself. “So how did you two meet?” they ask us as we sit on their couch and drink tea. We smile and I roll my eyes because it’s not a flattering story. “It was in second grade, right?” she asks me. Hosanna and I are like an old married couple. We can finish each other’s sentences and sit contentedly in silence together. We engage in the necessary bickering and we can tell the story of how we met – or rather, how we became friends – like we’ve rehearsed it for years. And really, we have. It’s November 2013 and Hosanna is meeting the family I live with in Prague. She came via bus from Berlin immediately after which we consecrated her arrival by running towards each other from opposite ends of the bus platform, screaming, crying, embracing. We are Americans. We have dreamed of traveling since high school. Right alongside her wanting a flower shop and my hope of becoming a published author (and the American Idol auditions which I went in support of and then subsequently boycotted for not having the GOOD SENSE to put through my friend), we have had dreams of far, far away places. In little pieces, our dreams of travel became realities through college. There was a time when it was out-of-this-world exciting to drive several hours into the desert/towards the border of Mexico to stargaze for extra credit in astronomy class (Hosanna was the supportive trooper in this venture). Then there was the thing with the shark. The time I visited her in Santa Barbara for the weekend and convinced her to walk down a long, dark pier. Halfway across we ran into some fisherman and their MASSIVE DEAD SHARK. They were real nice chaps and even offered Hosanna some shark steaks (I have spent several years trying not to be offended that they never offered me any even though I was the one asking interesting questions about the seasonal habits of sharks and the practice – nay, art – of fishing for wild sea beasts). But Europe. Europe was our dream. “We were kind of friends for a while,” Hosanna tells our attentive listeners, giving me a furtive glance. I clutch my tea and glower. I can tell she’s tip-toeing around the ugly part. I cringe. I don’t have a lot of regrets in my short life – I have like maybe three, and developing the habit in college of binge-eating as a means of handling stress is one of them. And one of them is this: what would life look like now if I had done things differently in first grade choir class? 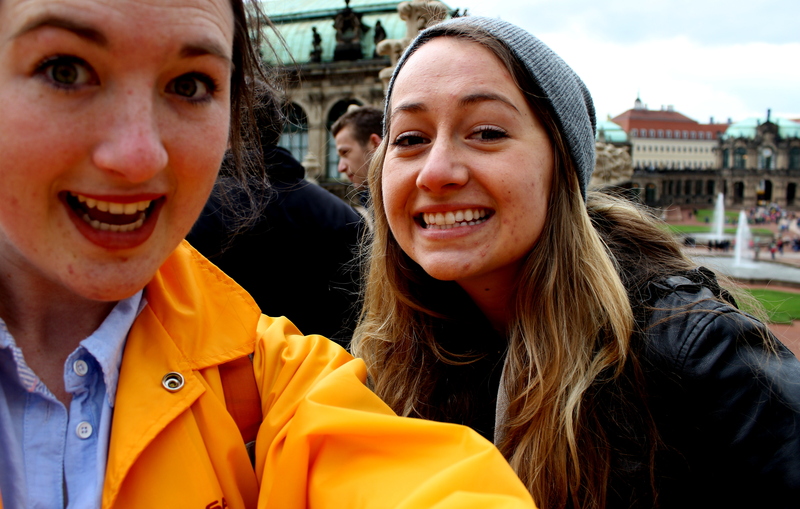 That first time Hosanna came to visit me in Prague was slightly magical. We fed swans by the river and took pictures next to old buildings. We huddled up in pubs and ate foods that someone’s mom figured out how to make centuries ago and now they serve it in restaurants with fries and give it a loose American translation on the menus for tourists. The second visit was less magical. 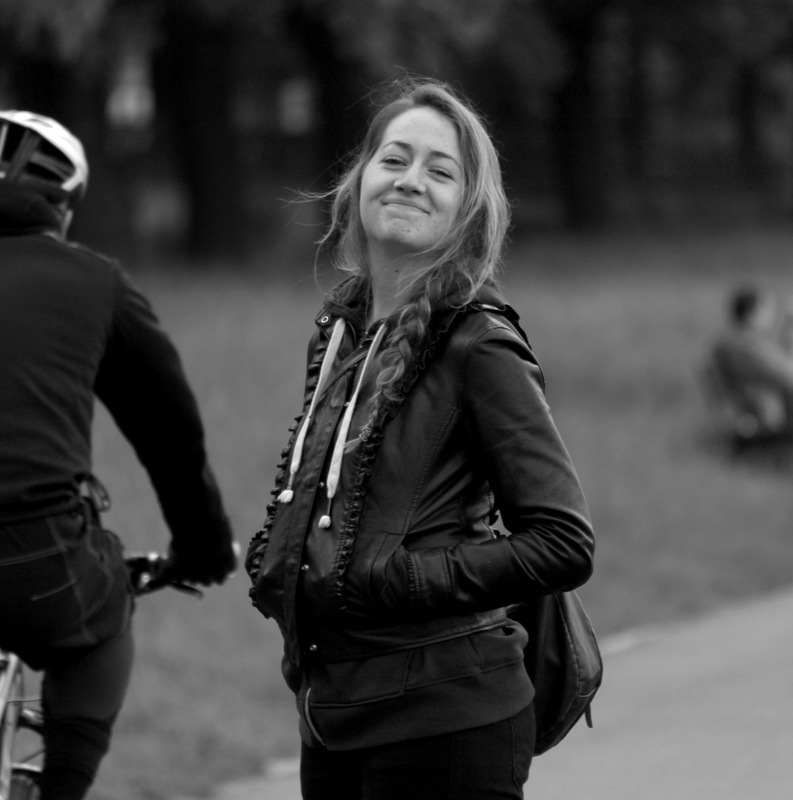 She was on the return leg of a European tour and I was late getting off a long week of teaching in April. We were both tired and hungry. 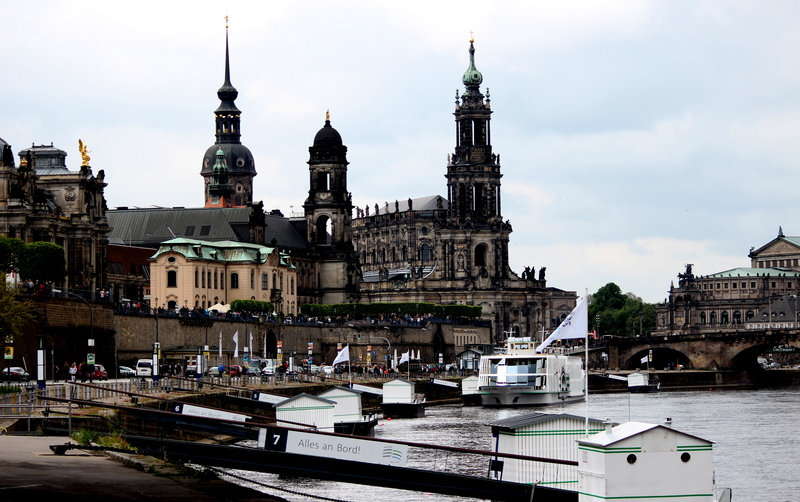 The plan was to go to Dresden for the weekend – it’s a quick bus ride from Prague and we had booked a cheap hostel. 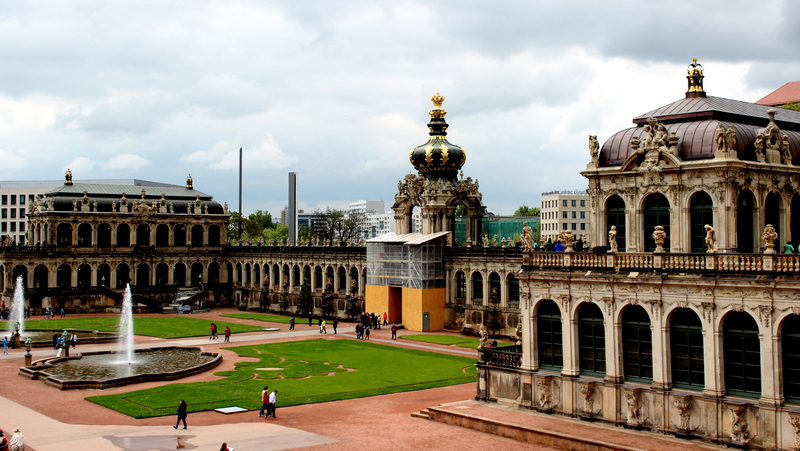 We did go to Dresden, for those who are on the edge of their seats about this. But … I don’t know how to put this… I think I’m getting too old for adventure. I got motion sickness on the bus, had to go to the bathroom all the way from the train station to the hostel and, for the sake of forthcomingness, I was annoyed that I could no longer understand the language being spoken (and whenever I try to speak German I sound like the Woodcutter from Hoodwinked. It scares people). Then I couldn’t figure out the map we were using and I was trying really hard to impress Hosanna so I just got really flustered. The next morning I was cranky because I didn’t have enough sleep and I was still peeved that Hosanna had the linguistic upper-hand. (I am a horrible friend on a number of levels and Hosanna deserves a medal and a gold star AND a pony for putting up with me). 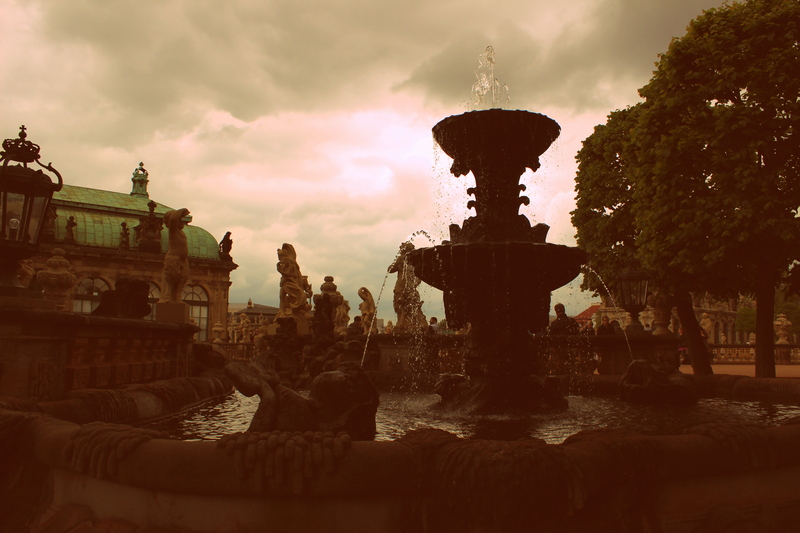 Dresden is underwhelming once you’ve seen Prague. Unfortunately, the Allies bombed the bahjeezers out of it during WWII so the old buildings are really new buildings built to look like old buildings. That’s an impressive feat in itself, but I’d rather see real old buildings. 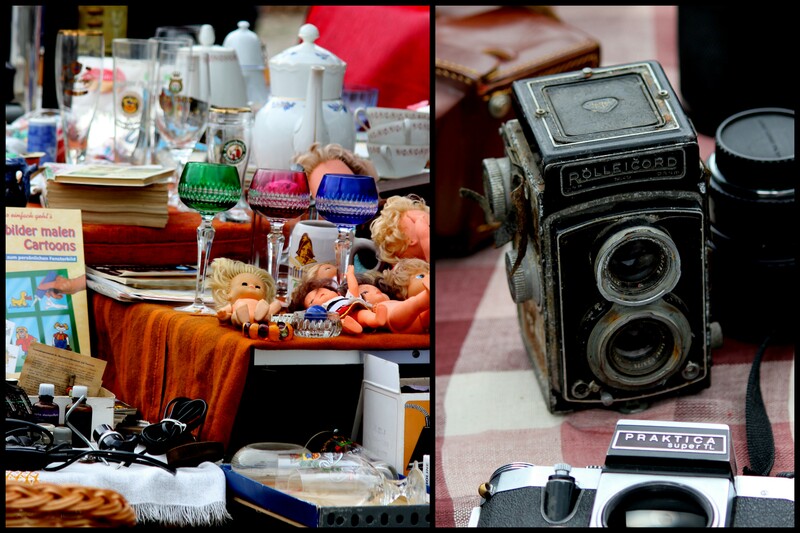 We spent the morning at a flea market near the Elbe River. Hosanna looked at books and I looked at cameras and I don’t think she’ll ever admit it but we both looked at that weird green gauze the crazy old lady said was edible. Pretty sure it had super powers. We took a walk along the river. We took pictures. We took WAY too long trying to find a place to eat. It was unreasonably cold and frankly, postcards were kind of expensive. The May Day Market was cute and we had fun eating wursts and watching people. (You have not truly experienced the phenomenon of people watching until you’ve sat on a bench in Europe). I gave Hosanna a sideways glance and the rest of the wurst we were sharing. She’s changed a lot since high school. So have I (thank goodness). So have our dreams. Dresden, Prague. It’s all grand. Honestly, I wouldn’t have minded if we were back in El Cajon, California splitting a cheap ice cream. As long as it is Hosanna. As long as we’re still together. “Just, let me tell the real version,” I say, putting down the tea and gearing up for a sad, shameful story. She smiles like she’s been waiting for me to man-up and just do it. “I went home and cried,” says Hosanna. Hosanna opens her mouth to argue but can’t think of anything. Our captive audience fidgets uncomfortably and I return my attention to them. Hosanna sips her tea. She’s smiling again. We had to run to catch my return bus to Prague. Hosanna said goodbye to me as the driver waited patiently for me to board. She handed me an apple and some granola bars for the road (“It’ll help your motion sickness”). She hugged me tightly and I got on the bus. A year without Hosanna. A year without your best friend. A year. But really, what is a year in the grand scheme of a story like ours?